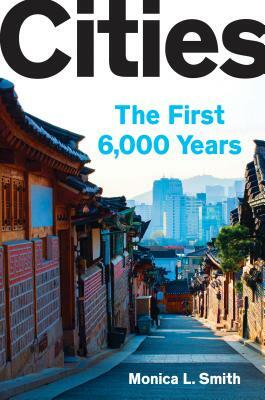 Download the audiobook of Cities: The First 6,000 Years on Libro.fm. — From Tuesday, April 16th @ 6:30 pm - Monica L. Smith discusses and signs "Cities: The first 6,000 Years"
Monica L. Smith is professor of anthropology and professor in the Institute of the Environment and Sustainability at the University of California, Los Angeles. She holds the Navin and Pratima Doshi Chair in Indian Studies and serves as the director of the South Asian Archaeology Laboratory in the Cotsen Institute of Archaeology. Her archaeological expertise includes fieldwork in Egypt, England, India, Italy, Tunisia, Bangladesh, Turkey, and Madagascar, supported by highly competitive research grants from the National Science Foundation, the National Endowment for the Humanities, and the National Geographic Society.